Michael Kenny brings a unique combination of finance, construction, and sales to the Larkin Industrial Team. With a primary emphasis on Tenant Representation, Michael is focused on achieving a high level of customer satisfaction through detailed market insight and a meticulous familiarity with his client base by daily canvassing the industrial areas. This face to face approach gives his clients invaluable market information in an ever changing and dynamic industrial market. Prior to joining NAI, Michael worked in the Building & Energy Commissioning field. This experience gives him detailed knowledge and understanding of the industrial building process from pre-design through substantial completion. This unique skillset coupled with an importance of building long-lasting relationships has given him the necessary tools to provide clients with the highest level of service and support. Michael is actively involved with several local charities and often donates his time at the Three Square Food Bank. 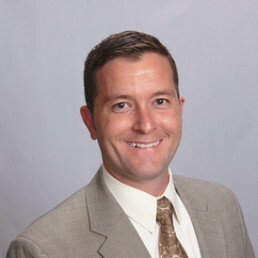 He is a member of NAIOP Southern Nevada Community Service Committee and currently serves on the NAIOP programs committee. He is married with two children, who keep him young at heart.